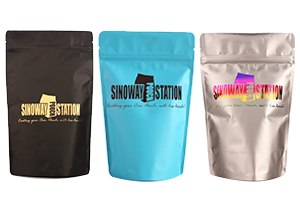 At Sinoway Pouch Station, we capitalize on providing pouches that are both eco and landfill-friendly. 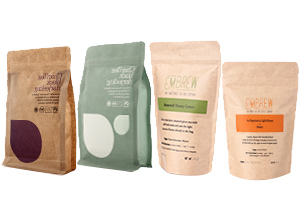 Our sustainable yet attractive packaging can help boost your product’s quality and marketability. 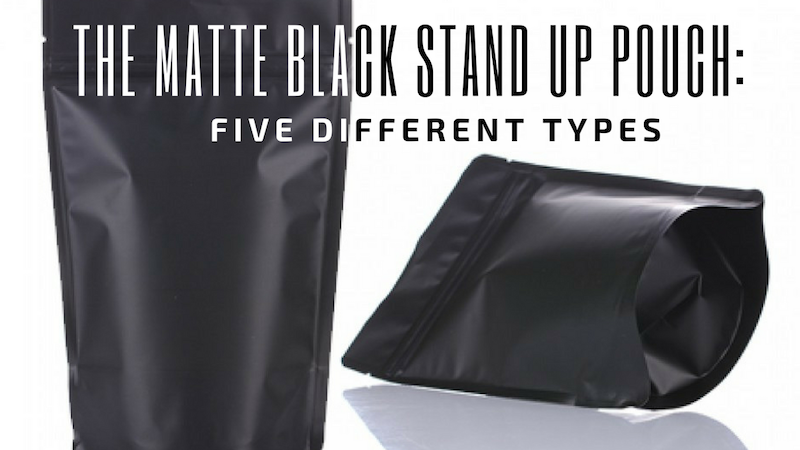 Keep reading to learn more about 5 types of matte black stand up pouches. 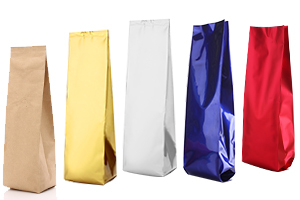 Available in several colors, the mylar/metallized pouch in black is an excellent choice if you’re looking for a stand up pouch. In addition to the smooth matte finish, this pouch is equipped with a silver metallic interior. Additionally, its inner substrate offers a substantial light and moisture barrier. 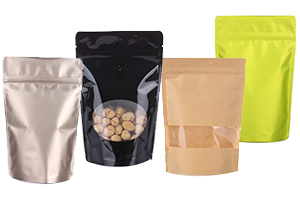 This matte black stand up pouch is ideal for a variety of snacks, cookies, nuts, spices and seasonings. 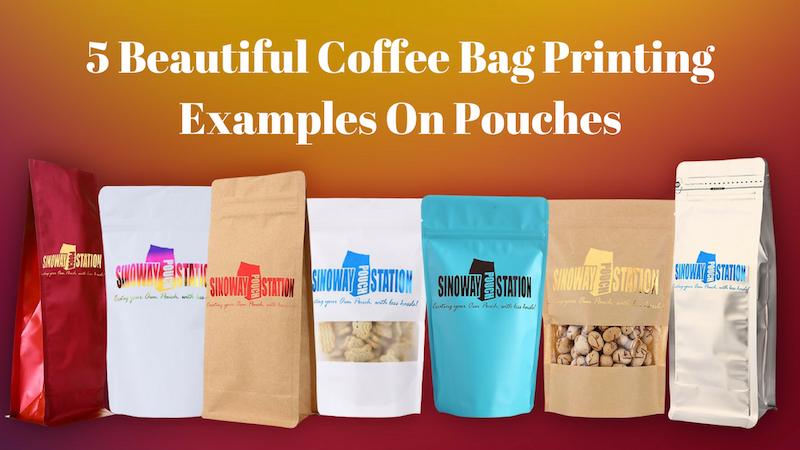 Furthermore, if you’re looking to get snazzy, Sinoway’s mylar bags can be processed with personalized logo hot stamps, labels and printings. 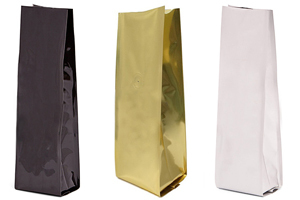 Available in silver, gold, and black, our aluminum foil stand up pouches are extremely durable. They are moisture resistant, have a high barrier of puncture, and protect from oxygen and odor. 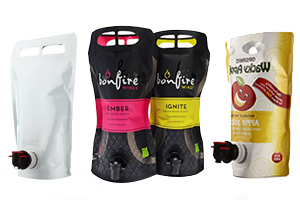 If you’re looking to package things like powder, roasted coffee, sea salts or ready-to-eat meals, the foil stand up pouch in black is for you. 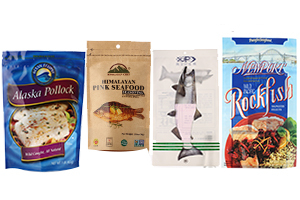 As always, Sinoway’s foil bags can be processed with logo hot stamps, labels and printings. 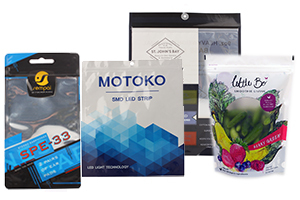 If you have an aesthetically-pleasing snack to display, check out our front clear poly/back foil stand up pouch. It’s available in silver, gold, and black. 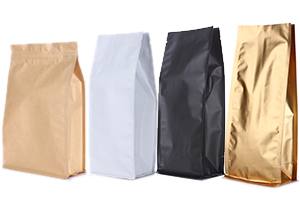 These stylish, one side clear, one side foil stand up bags are universally loved by granola and cereal suppliers. 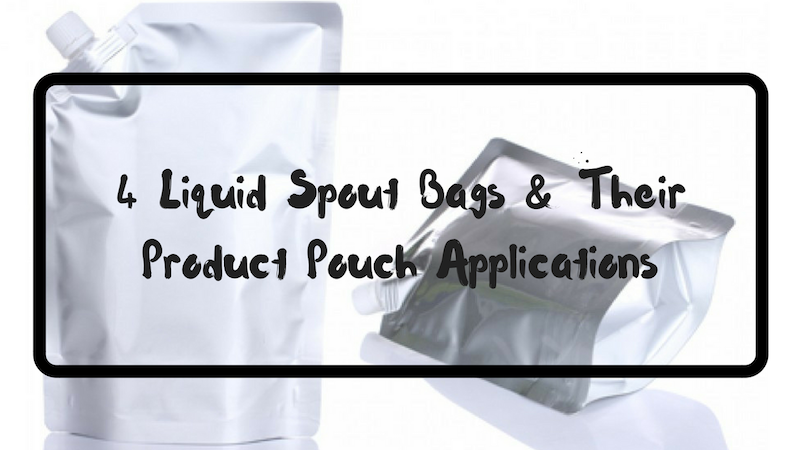 Plus, these pouches provide stellar oxygen, have a moisture barrier, and are lined with foil. 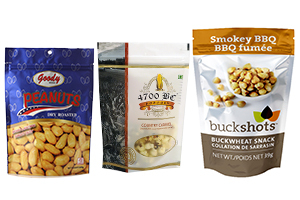 Furthermore, they are great for displaying the beauty of your product. This stand up pouch in black is sure to turn heads. 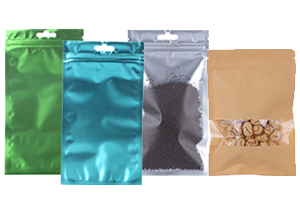 The poly window stand up pouches are made from our poly material. 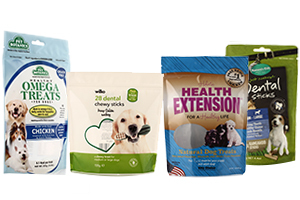 They come with an oval window, enabling customers to see through the pouch and know exactly what they are purchasing. 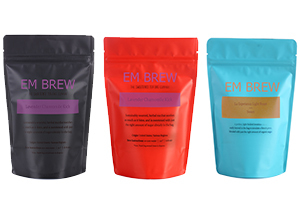 The poly window stand up pouches can be printed with refreshing colors to catch a customer’s eye on the shelf. Opting for a sleek black color is sure to make a statement. Smooth and polished, our matte, clear poly stand up pouch has a frosty finish. 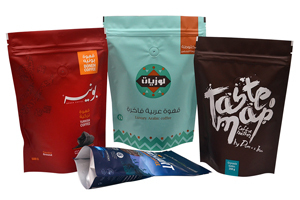 They are a solid option for our customers and patrons in the fast food industry, as well as for those seeking a cost-effective, yet still attractive packaging solution. 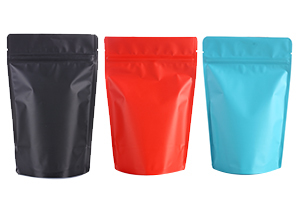 These pouches strike a great balance between function and style and are extremely practical. 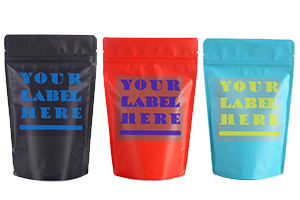 For some extra flare, these matte poly bags can be processed with assorted logo hot stamps, labels and printings. 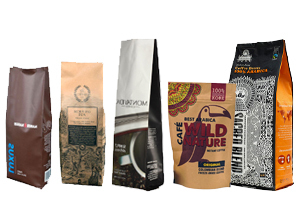 To learn more about matte black stand up pouches, check out all of our options here.